Then in between is tree ring dating, but that is a separate thing. And for completeness, there is also a sort of luminescence dating technique which I have never heard of. In this question I am just wondering about the Radiometric techniques. There is also Uranium-lead dating, but I don't see much info on that one, so focusing here just on carbon and potassium-argon. First, I am wondering if there are any data formats used for storing the data (which will help with search). I searched around a bit but didn't find anything. Second, I'm wondering if there are any data repositories containing radiometric datasets, just to get started. And third, if there's not any "centralized repositories" of this sort of data, and instead it is by individual author in their own style, that might be good to know, just so I don't think I'm missing something obvious. Pacific Bomb Radiocarbon Coral Data. I also found this which I haven't looked too much into yet. And this (which unfortunately is a PDF), which has a bunch of maps. So it seems like the data would be some sort of GIS shapefile or something perhaps. If it matters, I am interested in particular in fossil radiometric data. No, these are not the two "primary ones". The method used depends on what you are dating, and what age you expect it to be. Radiocarbon dating is relevant to things younger than a few tens of thousands of years, and it's only relevant for things that were living (or growing), and incorporated atmospheric carbon. Other methods such as U–Pb (the "gold standard" when dating igneous rocks), Rb–Sr, Re–Os, Sm–Nd, K(Ar)–Ar, Lu–Hf, and many more, are used for older things in the millions to billions of years. The one used depends on what you're analysing (Re–Os for sulfide minerals, U–Pb for zircons, Rb–Sr for micas, Sm–-Nd or Lu–Hf for garnets), and what is present in the rock, and what has textural evidence for being preserved. You might call U–Pb on zircon the "primary" one, because most of the dating is done on zircon. It's robust, easy, gives good ages, quick and relatively cheap. First, I am wondering if there are any data formats used for storing the data (which will help with search). 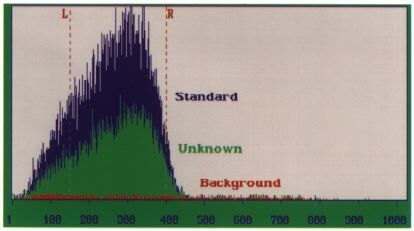 Most U–Pb data is reduced using IsoPlot, so the data will look like something that came out of that software. But in general, no. There is no standardised data format for geochronology, unfortunately. There are several of those. You can search EarthChem, that has some geochronological data. Australian government agencies also have some geochronology data in them, for example GA or NTGS. Fossils are among the hardest thing to date. If the fossils are relatively young (few thousands of years), there's radiocarbon. Anything older than that, and it becomes much harder. There's U–Th disequilibrium series which may work for some slightly older fossils (~1 million years). Anything older than that in deep geological time has to be dated with indirect methods. Finding a database of that is probably wishful thinking, and to understand their dates you need to have some geological background to understand the geological relations and considerations that allow the indirect dating. There are huge datasets of geochronology available in the published literature. Unfortunately there is not one single database because the task is daunting (there are several thousand geochronology labs in the world which typically produce hundreds of ages per year). Here is a link to the USGS geochronology database in map format. Not the answer you're looking for? Browse other questions tagged open-data geochronology radioactivity dating or ask your own question. How to sample for K-Ar dating? How to best visualize temperature increase (due to climate change) using GHCN data?